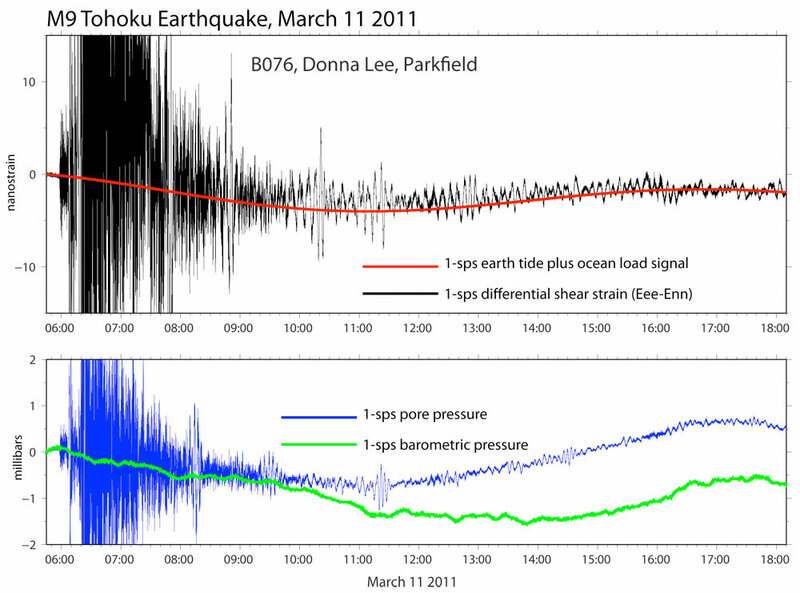 Tsunamis are usually triggered by large earthquakes under the ocean, and there have been several of those in the past few years: the 2009 M8.0 Samoa earthquake, the 2010 M8.8 Chile earthquake, and the 2011 M9.0 Tohoku Japan earthquake. These three all generated tsunamis that eventually reached the west coast of North America, although thankfully none of them were destructive in this region. The sensitivity of the strainmeters means that they are recording everything from ocean tides to the changing stress in the earth’s surface due to the gravitational pull of the moon and the sun. Kathleen Hodgkinson and the strainmeter group at UNAVCO filtered out these signals from everything else in order to isolate the signal from the tsunami. Once the signal was isolated, they were able to translate the strain measurements to water heights. The calculated water heights were within centimeters of nearby tide gauges, proving the accuracy of the technique. 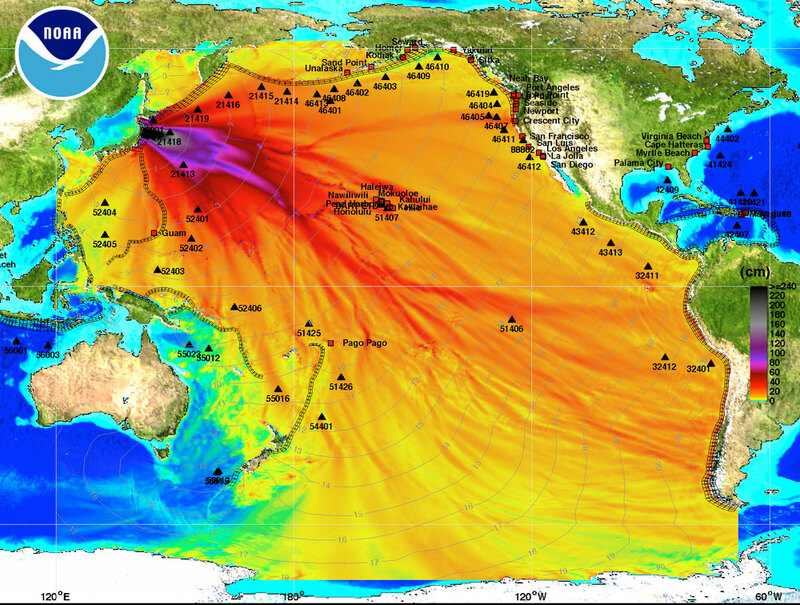 Although recording tsunami wave heights was not part of the original intended use of the UNAVCO’s strainmeters, they can help augment tide gauge measurements, and may prove useful in other parts of the world that lack tide gauges. K. Hodgkinson, D. Mencin, A. Borsa, B. Henderson, and W. Johnson. 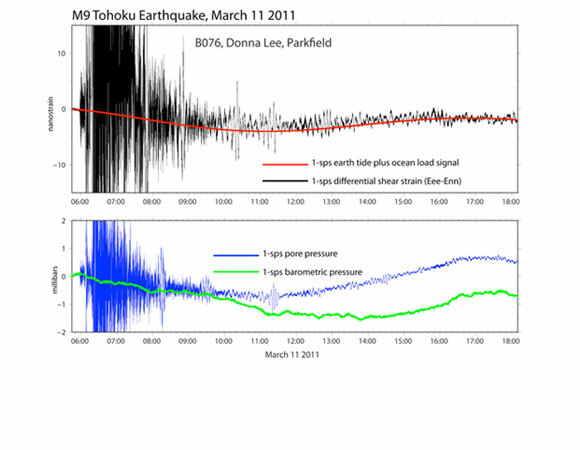 Tsunami Signals Recorded By Plate Boundary Observatory Borehole Strainmeters. Geophysical Research Abstracts Vol. 14, EGU2012-12291, 2012.